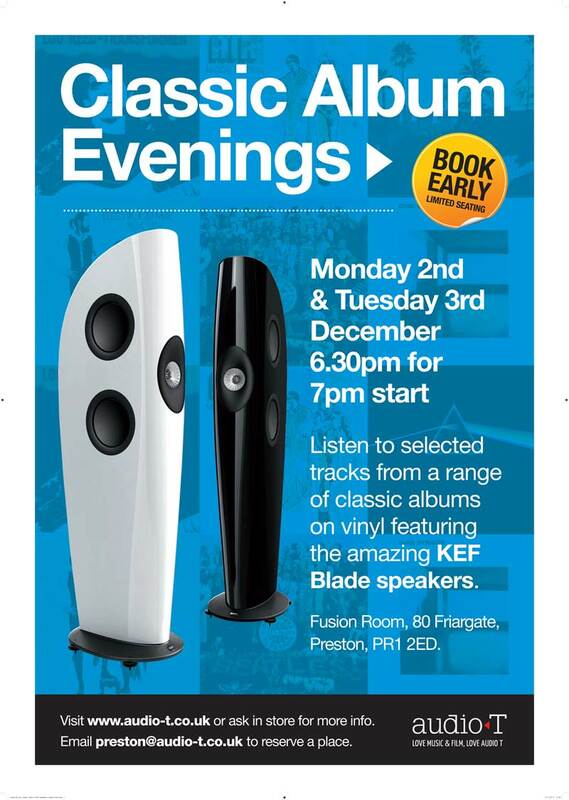 Following the success of our eighth Classic Vinyl Evening, we are pleased to announce Classic Vinyl Nights number nine. They will be on Monday 2nd & 3rd of December and once again will be held at the Fusion Room restaurant, 80 Friargate, Preston, PR1 2ED, at 6.30pm 7pm start. We are doing this over two evenings as we know demand will be very high,and we have limited seating available,so confirming via email is essential. When confirming please let us know how many places and what night you will be attending, Monday 2nd or Tuesday 3rd. We have decided not play a complete album,but to play a selection of tracks from previous evenings along with others,to show off the speakers.